Although Sony tries their best to make the XAVC S compatible with most devices or NLEs, it is still difficult to import XAVC S videos to Final Cut Pro 7. Then what is the available workflow for editing Sony XAVC S files in Final Cut Pro 7? If you’re facing problems when using XAVC S video in FCP 7, you’ve come to the right place. The article below will outline how to get Final Cut Pro work with Sony XAVC S footage smoothly. Plus, you may also encode XAVC S to Avid Media Composer, Adobe Premiere Pro, iMovie and more NLE programs highly compatible formats for smooth editing. Besides, it might help you change XAVC S to other frequent formats like MOV, MKV, MP4, AVI, etc for playback on media devices. Step 1: Add Sony 4K XAVC S footage to the program. Launch the software on your Mac computer, click “File” menu, select “Add Video/Audio” or “Add from folder” to import Sony 4K XAVC S footage to the program. Click “Format” bar, from its drop-down options, move your mouse to “Final Cut Pro > Apple ProRes 422 (*.mov)” to select it as the output file format. Actually, different Apple ProRes codec corresponds to different needs. 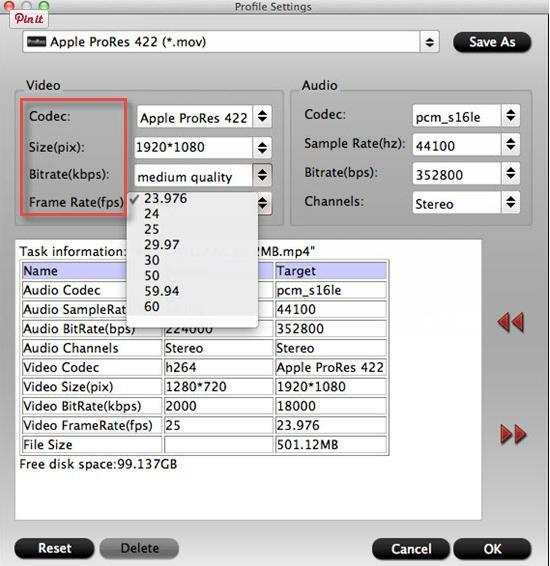 Here you can refer to this article “Differences among Apple ProRes codec“. Step 4: Convert XAVC S Video to FCP 7. Hit the convert button under the preview windows, the program will start XAVC S footage to Apple ProRes MOV conversion for Final Cut Pro 7. When the conversion is completed, run FCP 7 and import the ProRes codec footage for post production workflow. 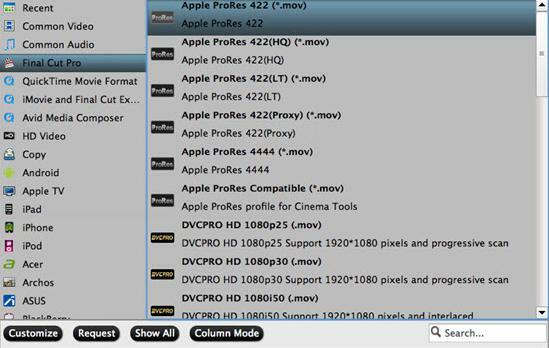 How to Get XAVC Support in Final Cut Pro 7?